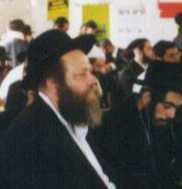 Rabbi Gottlieb teaches in Jerusalem. He is currently working towards forming an advanced program of Chassidic & Torah Learning. He has made some of his diverei Torah and thoughts on the Parsha available through e-mail. He is available for speaking engagements in the United States and elsewhere. ** Sound low for first 3 mins.